I wonder who your valentine is this year? Is it your parents? Maybe a friend? Valentine’s Day is an important holiday around the world. It is a day that we show those around us how much we care. But have you ever wondered about hot it started? To check out more information go to, Pebbe Go or by visiting this Valentine’s Day Wonderopolis. Valentine’s Day is a holiday that we celebrate our love for our friends and families, what else did you learn about the holiday? Comment below! It’s always exciting having parties and getting cards from your friends, but think about those who might not receive valentines. This week’s early enrichment activity is to “Share the Love” by creating valentines for senior citizens that live in Westside’s neighborhood. 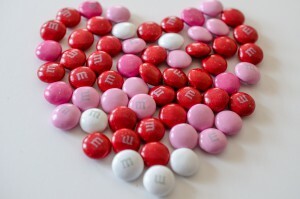 Make a valentine and send it to your EY Coordinator by Tuesday, February 16th!